ProPLUS Reusable Hose Ends are now shipping! Field installable without crimping for all standard ProPLUS and ProPLUS Xtreme Race Hose braids and coverings, including the new XKS Aramid with black Silicone cover. Black hose ends with full or TD (turned down) swivel nuts with aerospace profile sockets in black, gold or Super Nickel finish. 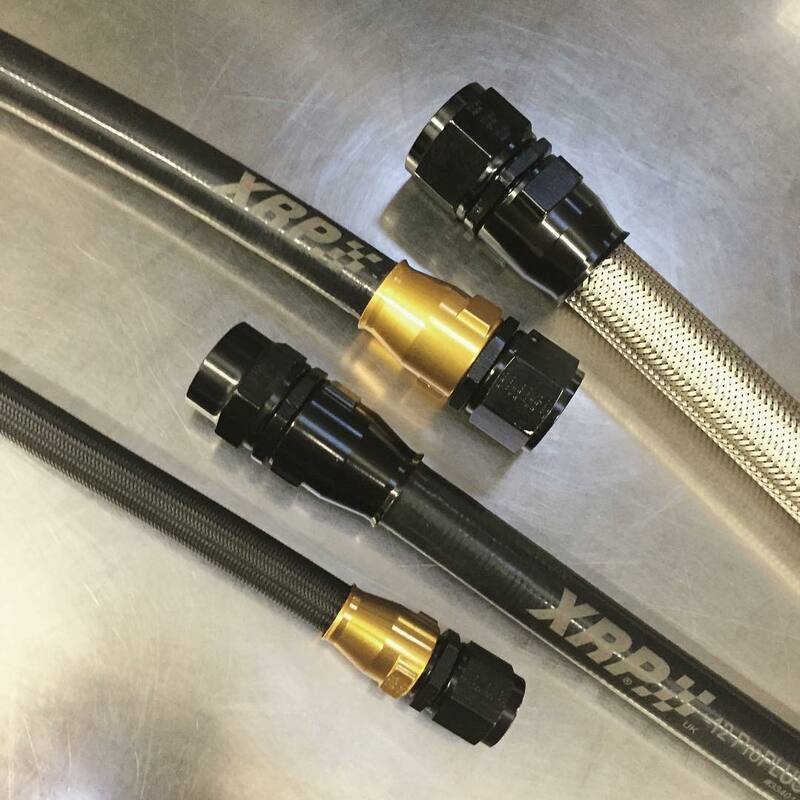 Bent tube hose ends in fixed or full swivel style ProPLUS Race Hose: A highly flexible, smooth bore, PTFE hose system that is inert to all racing oils and fuels – XRP, Inc.